I have been using these adapters for about a year now on professional A/V productions (Museums, Corporate Lobbies, etc.). I never got even one bad unit yet (ordered over 100). 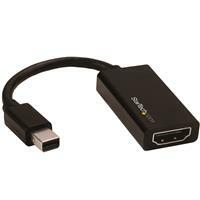 Our video and real-time rendered content requires True 4K/UHD@60 and these adapters really deliver what they advertise. (5 stars) Quality gizmo to have around! I have been using this for a month to display my laptop on an external HDMI monitor. Works great. Monitor pops on as soon as i plug it in. I have tested this Mini DisplayPort to HDMI adapter using several notebooks and projectors. The adapter always connects quickly and works every time. The adaptor comes in a zip lock bag that most StarTech cables come in. The adaptor is about as long as a pen, made with a shiny black plastic HDMI end and soft plastic cable. This is a very premium feeling product. When the adapter is connected to my computer it starts working immediately. No installation was needed as it started working when connected for the first time within seconds. This adaptor now has a permanent home with my laptop and I use it every time I connect to a projector. I received this product in exchange for an unbiased review. 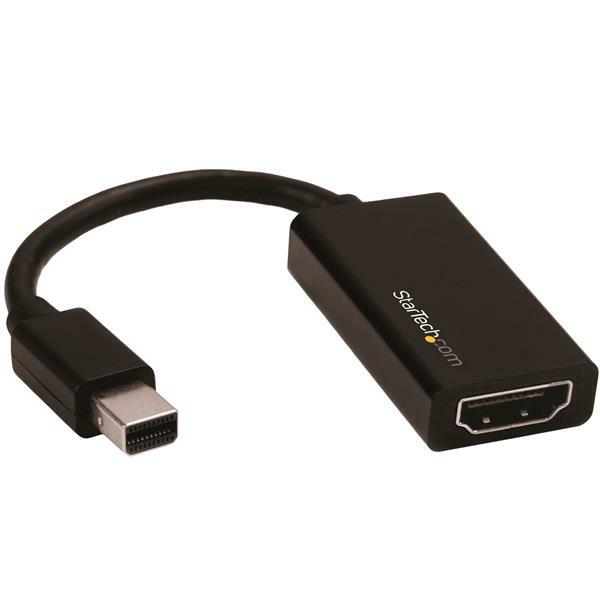 When I bought this adapter was working with my Samsung KS7000 tv at 60hz on MacBook Pro 2015, but stop to give me 60hz and just gives 30hz, on samsung tv i need to activate the uhd color for this, was thinking my tv got a update issue upgrade on firmware but 2 months later I try with a friend official cable 4khd60hz and my surprise its that works with my tv, idk what happen then, why stop to works? have almost 1 year with the adapter testing, even i format my computer and got same results.